3 bedroom apartment in the city center, just 4 minutes from the beach. Apartment in old town of Conil. Also available for long periods from September to June. 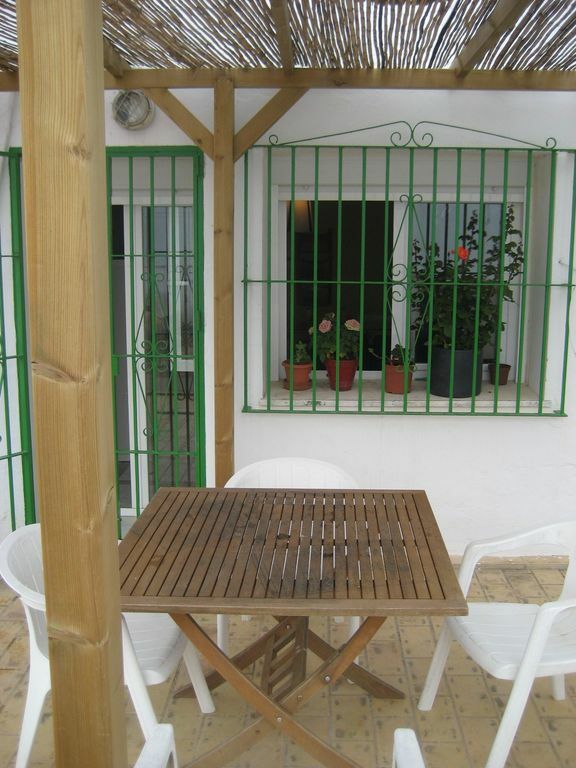 Nice apartment and care, in a typical old house Conil, inside the old town, completely renovated. It is a spacious house, 3 bedrooms (2 queen beds and two singles) with kitchen and separate living room, and large terrace with pergola for outdoor living. It's right in the center of Conil, close to squares, bars, restaurants, supermarkets, pharmacies and most importantly, the beach is only about 4 minutes walk. Ideal for solo use the car to visit other villages and beaches of the province, and Conil, just stroll and relax. We stayed here one month and had a great experience. The apartment was very nice. The town was small enough to walk about but had everything we needed. The beach is beautiful! And then it's close to many other towns so we did many day trips. I'd highly recommend staying here. Ha sido una experiencia muy bonita. La casa esta cerca de todos los sitios . Hemos disfrutado mucho sobre todo de la terraza. Perfecta localización, se ajusta a lo anunciado. Casa en una localización inmejorable, perfecta para pasar unos días en el centro de conil con todas las facilidades tanto de la vivienda como del lugar. Wir hatten die Unterkunft für 2 Wochen im Oktober und sind im Grunde sehr zufrieden gewesen. Von der Dachterrasse hat man einen wunderschönen Blick auf Conil und auf das Meer. Die Wohnung liegt sehr zentral in der Altstadt, was uns sehr gefallen hat, trotzdem war es sehr ruhig und wir konnten wunderbar schlafen, da die angrenzende Disco geschlossen blieb. Die Ausstattung war sehr spartanisch, der Mietpreis angemessen. Kurz, zentrale Lage ohne Luxus - wer will schon viel Zeit in der Wohnung verbringen, wenn man an der Costa de la Luz ist? During the winter months we live on Calle Herreria 2.A lovely house, right in the Centre of Conil. the House has a lovely large terrace, where you can enjoy the Sun, but also can sit in the shade if it is very warm.It is a spacious home where you no problems with 7 people can sleep.In short a must! In any case, we come back again!! Estupenda casa por su estado, su situación, su precio, el trato......por todo! La recomiendo 100% tanto si vas para pasar unos días de tranquilidad como si buscas fiesta, en todo el centro con todo a mano.